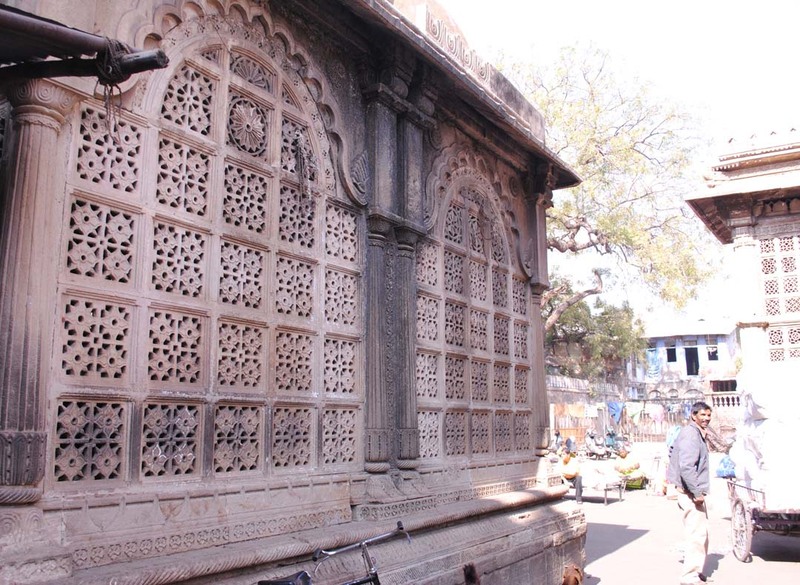 Ahmed Shah`s Tomb, locally known as Badshah no Hajiro or Raja no Hajiro (King`s Mausoleum), is a medieval mosque and the group of tombs in Ahmedabad, India. 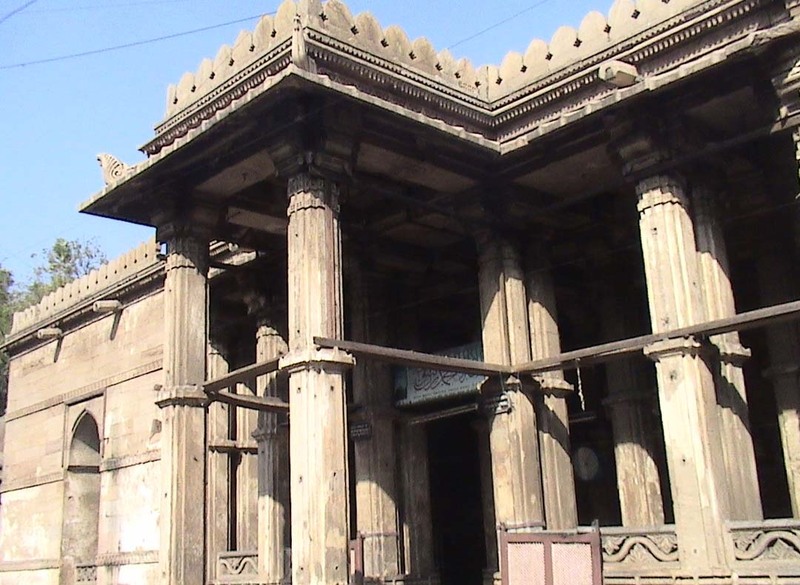 Ahmed Shah`s mosque is situated close to Jama Mosque and Manek Chowk. The mosque has the tomb of Ahmed Shah I, the founder of Ahmedabad in centre. It was completed by his son Muhhamad Shah (1442 to 1451) in 1414, and who is buried to his left. 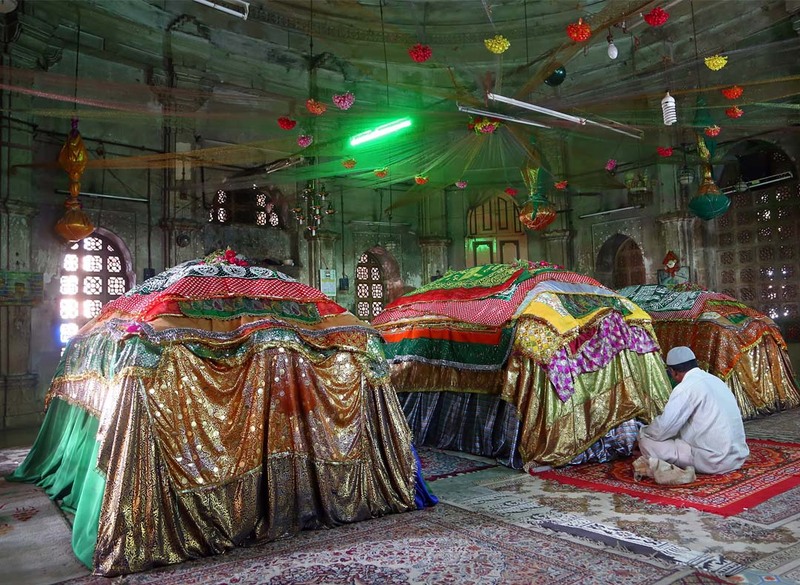 His grandson Qut ud-Din Shah (1451–1458) is buried to his right. The tombs of his other grandsons Jalal Khan and Sultan Ahmad II are also there. The tomb of Ahmed Shah`s brother is outside of the main chamber. On Ahmed Shah`s tomb flowers and `chadars` are still offered. The mosque has the main square building with large central dome. There are four chambers at all four corners with smaller domes. The tombs are in centre. 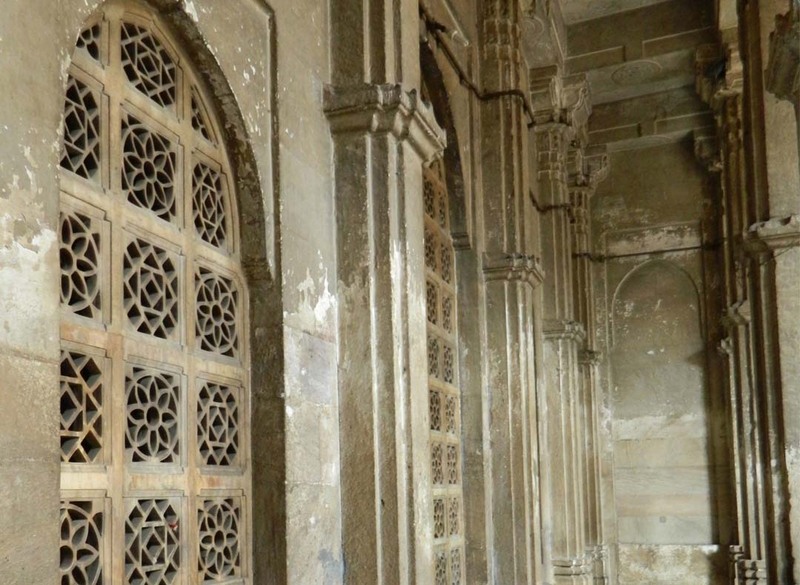 The chamber is lit with delicately carved stone screens, (jaalis). The naubat musicians also served as the timekeepers of the city, indicating the time of the day through their music. The evening orchestra signaled maghrib (sunset) while the day\'s final naubat motioned the closing of the city\'s twelve gates. Today naubat commemorates the memory of Ahmed Shah. The best way to catch this is to participate in Night-walk held by house of MG on every day.